If you have read any of my foundation posts, you may know that I suffer from large pores, which is one thing that prevents me from going out makeup free. 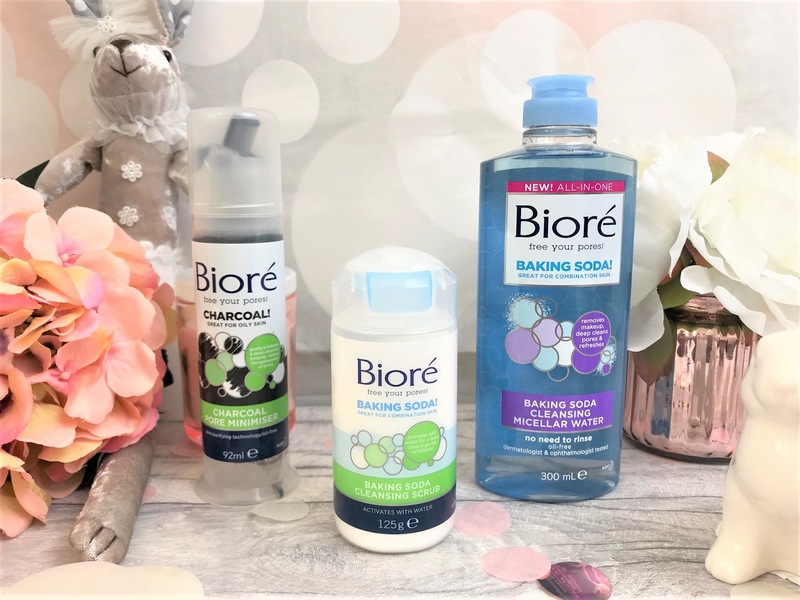 Biore recently sent me some of their new releases, and each one is supposed to help minimise and conceal those pesky pores. The first product I have been trying out is the Biore Charcoal Pore Minimiser (£5.99 for 92ml), which looks just like those toothpaste dispensers you used to get back in the day, which totally made me smile. You simply wet your hands and use one pump of the Pore Minimiser, working it into a lather, and then massage gently into the skin and immediately rinsing off with warm water. The texture is slightly gritty which is what makes this a great exfoliate and it really gets in deep to pores to keep them clean, and in turn making them visibly smaller. Charcoal is well-known for drawing out impurities in the skin and I found this to work really well. 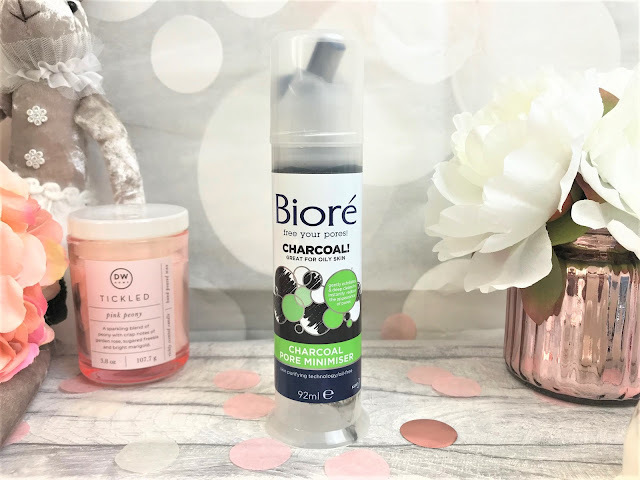 Biore advise this to be used on oily to normal skin, and I also have patches of sensitivity on my cheeks, and even though they did go slightly red, this is something that happens to me whenever I use an exfoliator as my skin is touch-sensitive, and I certainly didn't feel any irritation. 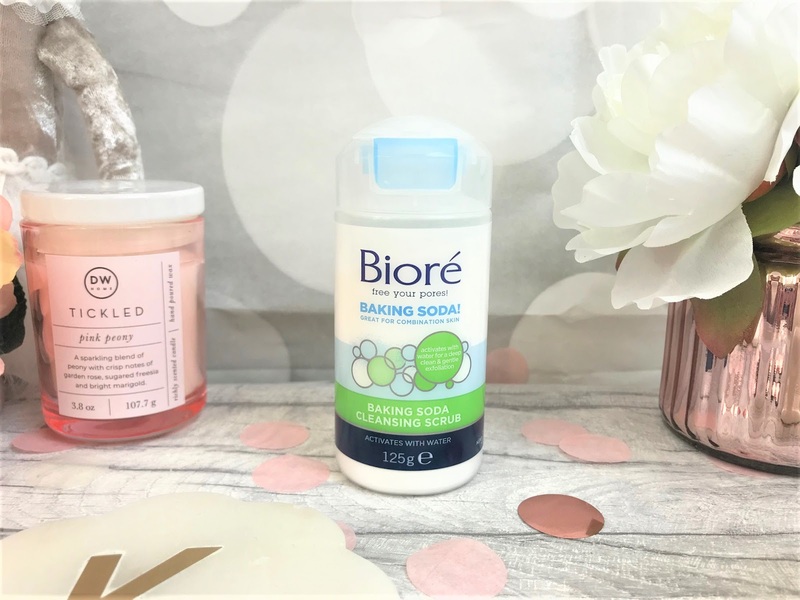 Another interesting product they have released is the Biore Baking Soda Cleansing Scrub (£7.99 for 125g). This little pot of innovative powder activates with water to clean out the pores to leave your skin feeling and looking much smoother in just one week. It is slightly similar to the Dermalogica Daily Microfoliant, but a lot cheaper. You simply press the button on the top of the lid and the lid pops off, pop a little of the powder onto your hands and massage into wet skin, rinsing thoroughly afterwards. This gives such a clean feeling to the skin, and it is so gentle that it causes no irritation, and the scent is lovely and fresh. Over-use can dry the skin out, so I would only recommend using this once to twice a week. When it comes to cleansing products, I much prefer a micellar water as they are so quick and easy to use, and compared to creamy cleansers that lather up, you can use a micellar water in a morning without getting product in your hairline. 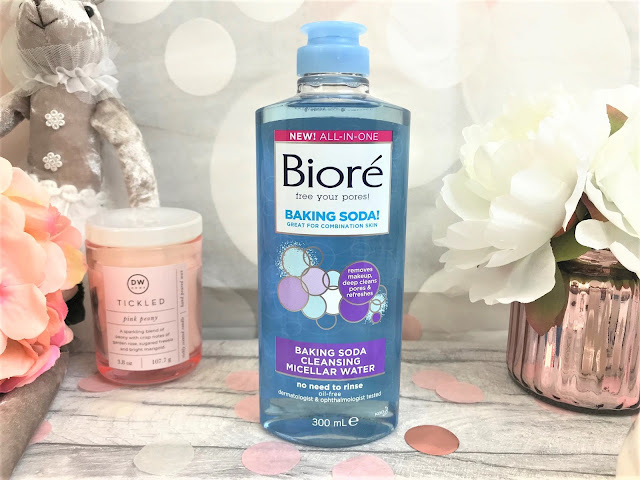 The Biore Baking Soda Cleansing Micellar Water (£4.99 for 300ml) is such a good buy, as it removes makeup as well as eye makeup in a few quick swipes, as well as removing dirt and oil from pores. I use this on an evening to remove my makeup and cleanse my skin, and then in a morning to cleanse the skin and freshen it up, so I feel more awake. I wear contact lenses, and I find that this doesn't affect my eyes at all, and it removes my mascara and eye shadow really easily, meaning that I don't have to harshly rub that delicate eye area. You can find Biore in-store and online at places such as Superdrug here.